A lot of people consider Angelina Jolie as one of the sexiest woman alive that’s why a lot of people can’t help but get captivated by her looks. Her features look like a goddess that have descended from the heavens that could entice every men and woman. This Hollywood star has already proven herself as a very good actress in all of her hit movies. It is not that common to see people, especially a younger woman, to idolize her because of her charisma towards feminine empowerment. But a woman really draws a flak in the social media as she went for fifty surgical operations just to make her look like Angelina Jolie. 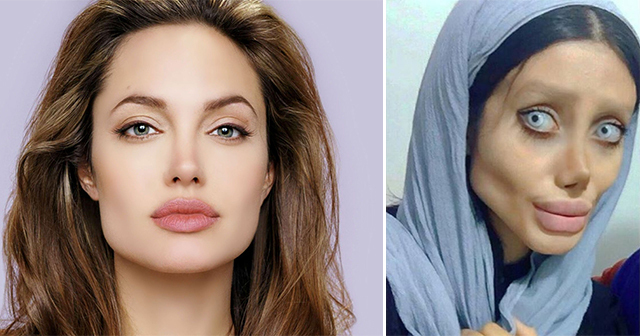 An Iranian girl, Sahar Tabar, loved Angelina Jolie so much that she even spent a lot of money just to change her face and wanted to imitate the face of her idol. She was only 19-years old but she willingly underwent 50+ cosmetic surgeries. 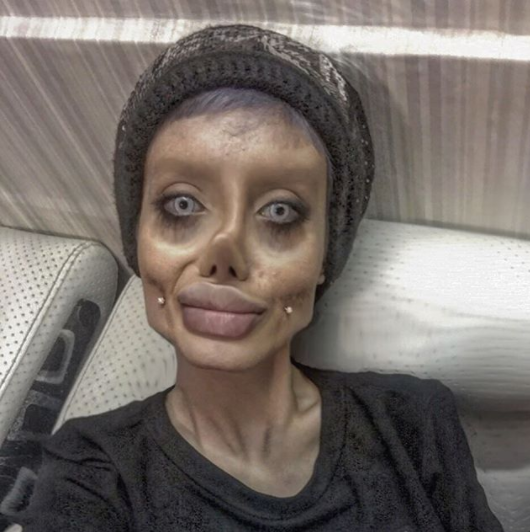 A lot of people didn’t like the outcome of her facial reconstruction and points that she even looked like the character on Tim Burton’s 2005 animated movie called “The Corpse Bride.” Her face is really an outcry from Angelina’s face and people didn’t expect it to look like it even she went for those such overboard surgeries. Sahar Tabar was also lost 80 lbs just to make her look fit like her admired star. Tabar’s lips also went overboard because it becomes poutier than what Angelina has. She even looked similar to the likes of the “Human-Ken Doll” which is a guy who also underwent cosmetic surgeries just wanted to become like the famous doll Ken, Barbie’s partner. She also wanted her cheekbones to become more prominent just like Angelina’s features. Some of her facial muscles must be removed to have a huge dimple mark just like Angelina has. Although some of her features might resemble what Angelina have, it is really hard to tell that she looks exactly like Angelina. Her eyes were also seemed a little bit changed but it may be due to some colored contact lenses but it is vaguely far from what Angelina has. Sahar became sensational worldwide as she got a lot of followers on her personal Instagram account. It is quite a lot of people considering that she only posted 34 images on her social media account. 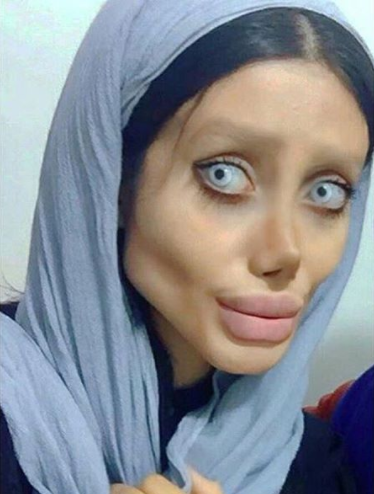 I guess many of you wanted to see what Sahar looked like before undergoing such drastic surgery just too look like Angelina. 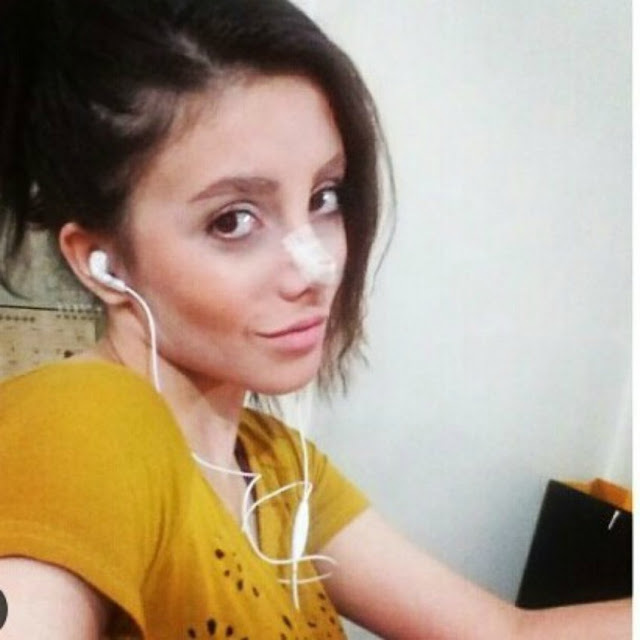 What are your thoughts about Sahar? Is it worth all of her effort and money just to look like Angelina? Share your thoughts on this article!